Kaddish is a commandment to say for the deceased. 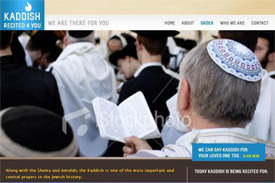 This design allows the organization to automatically display times for loved ones to recite the kaddish. Administrators can manage the website through an easy to use interface.